See the map of the Northern Territory showing National Parks Maps of the Northern Territory. On the western part of the George Gill Range is the Watarrka National Park. This park in the Northern Territory protects numerous unique and interesting native flora and fauna found only in this region. The park has numerous walks of different difficulty, offering ancient landscape scenery and chances to spot wildlife in their native habitat. Accessible throughout the year, the cooler months offer a more pleasant experience. Note: Summer in Australia is December to February. 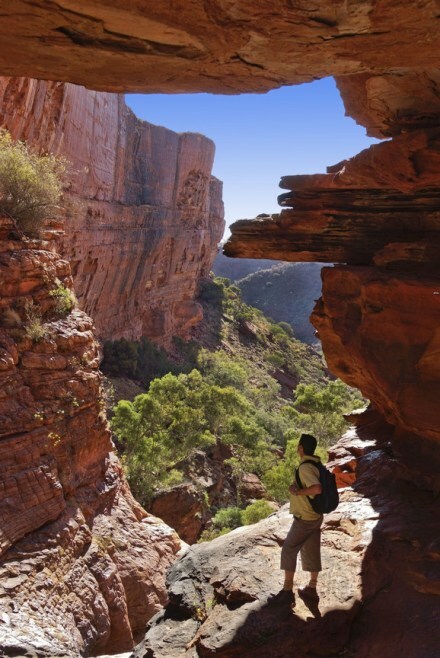 One of the features of the park is the Kings Canyon: here there are deep ravines formed by ancient rivers with multi-coloured sandstone walls, having cut deep into the surrounding land. The Kings Canyon Rim Walk (Please explore in a clockwise direction) has fantastic views, not only of the canyon but of the surrounds with the weathered domes of the ’Lost City’. Deep within the canyon is the sheltered ’Garden of Eden’ with its waterholes and green plant life. Note: This walk is for those who are fit, not only for the steep climb in the beginning of the walk, but also for the temperatures during the warmer months. Approximately three to four hours. This walk is good for families and is wheelchair accessible. It will take you to a wonderful waterhole, fed by springs. Approximately a 1 and half hour walk. You can find out more information about the many NT parks and reserves throughout the rest of the Territory here http://www.nretas.nt.gov.au/. Near Darwin: Litchfield National Park. World Heritage Kakadu National Park. 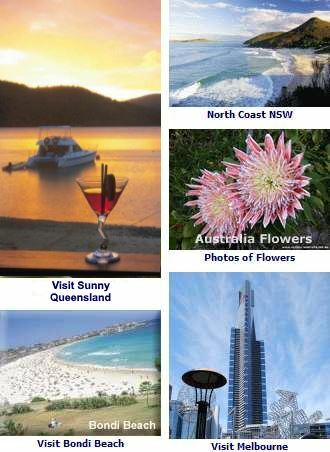 Further Reading: National Parks and Reserves in Australia and the Australia National Parks Map.